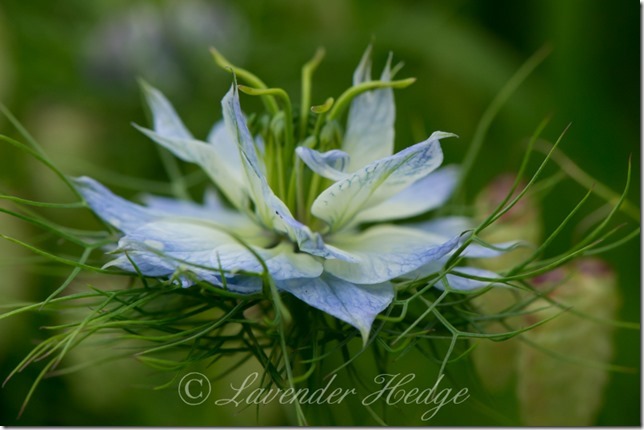 Nigella is a popular cottage garden plant, which self-seeds prolifically. They are usually blue, white or pink, but cross-pollination will give you some interesting combinations. With its airy foliage surrounding the flower, you can see why this flower gets the name ‘Love in a Mist’. Don’t dead-head the flowers when they have finished flowering, as the seed heads are beautiful in their own way, plus you will get lots more plants for free next year!